It’s a typical Sunday morning in NYC. I wake up around 11:30 AM, sit around for about an hour, and then I head out for brunch somewhere. I usually don’t go overboard with my brunch spot; it’s usually a bar nearby or a diner – I’m easy to please. However, a few months ago I splurged on a fabulous Sunday brunch at the Waldorf and I am dying to go back. If you haven’t done this yet, I highly recommend it as one of the places to visit before you die. But I digress. Today I had brunch at the Madison Restaurant on 51st Street and 1st avenue in Midtown. I frequent this place often since I live nearby and it is kind of like a glorified diner, but the food is always consistent and they have a really good brunch. So today I got my Sunday Brunch staple: Eggs Benedict. Two poached eggs sit atop an english muffin with Canadian bacon and covered in Hollaindaise sauce. Scrumptious. This dish (like most breakfast dishes) comes with a side of homefries, and these are the shoestring style homefries – crispy and salty just the way I like it. Now I’m not a fan of ketchup and eggs (though I do love hotsauce and eggs), but they gave us ketchup in ketchup packets anyway. I didn’t even know what they were at first, I thought they were soy sauce packets. Black in color, fancy font, and bigger in size. No more white and red packet, teaspoon-serving of ketchup? Maybe this is a special limited edition packet? This is a true sign of aging. 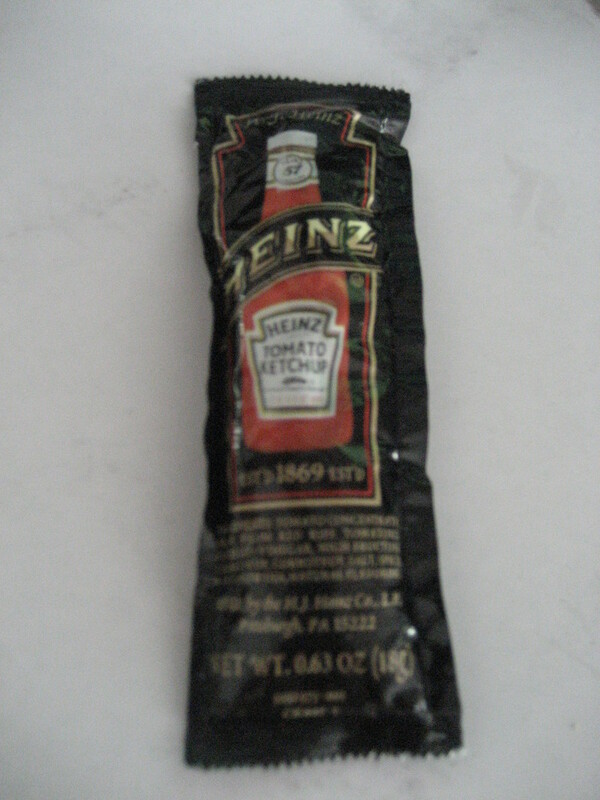 Now I will be able to tell my kids, "Yes, I remember when they changed the Heinz ketchup packets…"
Ketchup has health benefits which are offset by the salt and sugar content. Ketchup is a source of lycopene, an antioxidant which may help prevent some forms of cancer. This is particularly true of the organic brands of ketchup. People deserve good life and business loans or college loan can make it much better. Just because people’s freedom bases on money state.